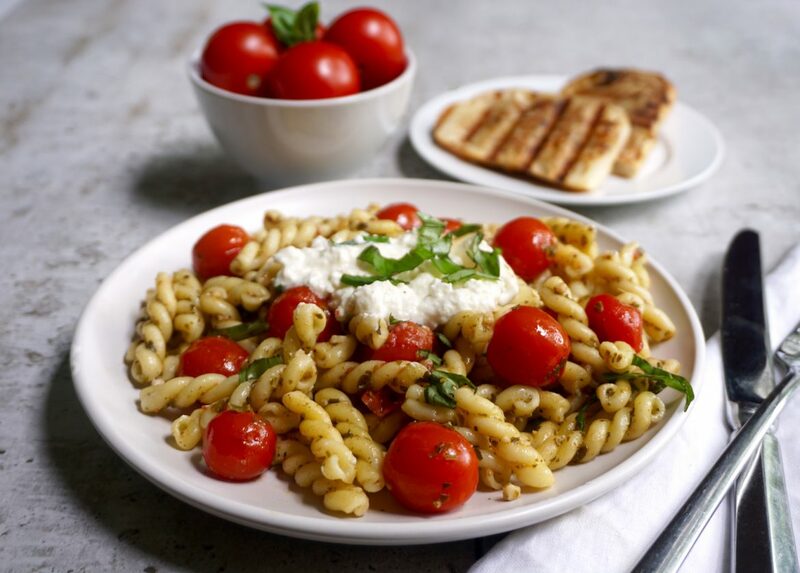 Caprese Fusilli with Burrata is made from ripe tomatoes, basil and burrata. Caprese Fusilli with Burrata is a great, simple, pasta dish to make in the summer. 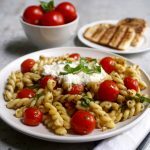 Fusilli pasta is lightly dressed with pesto then topped with red, ripe, roasted tomatoes and fresh basil. When you are able to buy local tomatoes at their peak in the summer and just picked basil, this simple dish becomes a standout! 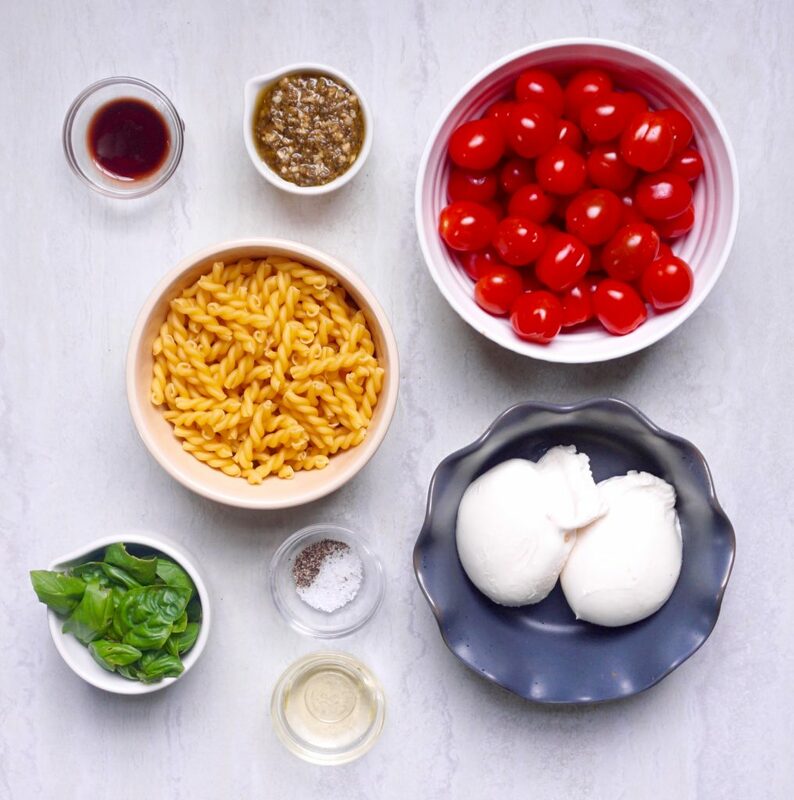 Once the pasta dish is assembled, it is topped with Burrata cheese. Burrata is a fresh mozzarella cheese ball that has been infused with cream. When you cut into the ball, all the creamy cheese inside is released. It pairs very nicely with the tomatoes and basil. 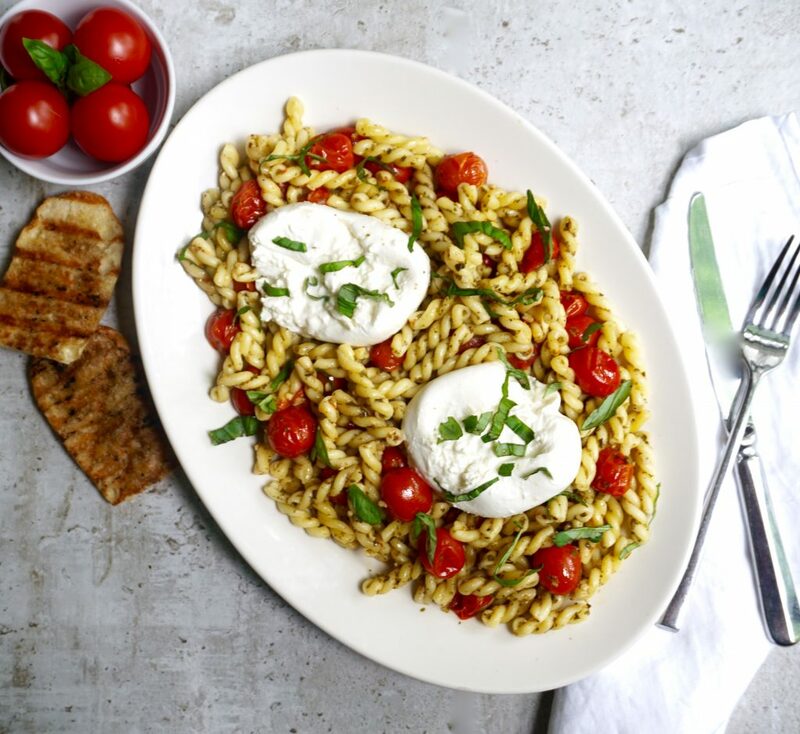 The best thing about this Caprese Fusilli with Burrata is the versatility. This can be served warm or cold. 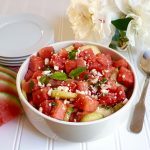 It can be a complete vegetarian meal, a warm side dish for your summer cookout or it can be served cold as a pasta salad. Drizzle the tomatoes with 1 tablespoon olive oil. Sprinkle with salt and pepper. Roast for 15 – 20 minutes until they are beginning to caramelize. 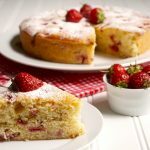 Remove from the oven and set aside. In a large pot of water, cook the fusilli according to the directions on the box for the doneness you prefer. 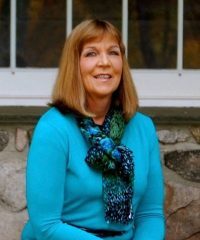 Drain. Return the drained pasta to the large pot. Add the pesto, 1 tablespoon olive oil, balsamic vinegar, cherry tomatoes and basil leaves. Mix well. Remove to a serving platter and add the Burrata cheese balls on top.